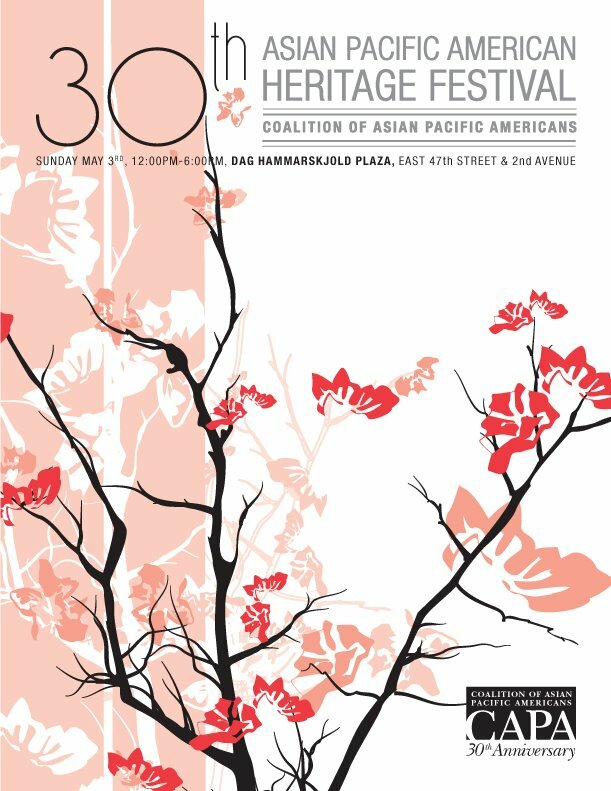 The 30th Annual Asian Pacific American Heritage Festival will be held today — Sunday, May 3, 2009 — at Dag Hammarskjold Plaza (at East 47th Street and 2nd Avenue) from 12:00pm to 6:00pm. The day long celebration of Asian Pacific American culture is the longest running and largest Pan Asian heritage festival on the East Coast. The festival is free and open to the public, including Asians and non-Asians alike who want to see, hear, taste, and interact with Asia America! 8,000 visitors are expected to come hungry and sample delicious bites from all over Asia while taking in the work of renowned artists in calligraphy, Mehandi art (painting designs on the skin of the hands and feet) and other unique folk artists. An exciting range of cultural performances on the main stage include Bollywood Axion Dance Company (Western/Indian dance), Jack Lords (Hawaiian/Urban music), COBU (Japanese Taiko Drumming/Tap), Polynesian dance and much more. This year’s Children’s Corner will give kids a chance to try their hand at Japanese kite making, Korean doll-making, Pakistani rugs and more, plus get their faces painted in beautiful designs. For the Asian American community, prominent Asian American social groups will also be present to educate the Asian public about numerous valuable services available to them, as well as volunteer opportunities and non-profit avenues to get involved in the community. For more details on the event, go to: http://capaonline.org/eventschedule.htm. Also, check out the organization on a wealth of social networking sites, including YouTube, Facebook, Flickr and Twitter.